Kikes are flooding Palestinian neighborhoods with diseased rats to harass and drive them out. Many children have been bitten. 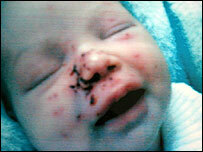 The rats are raised in farms, infected with diseases, then released into densely populated neighborhoods. Israel is using rats to drive Arab families out of their homes in the Old City of Jerusalem. 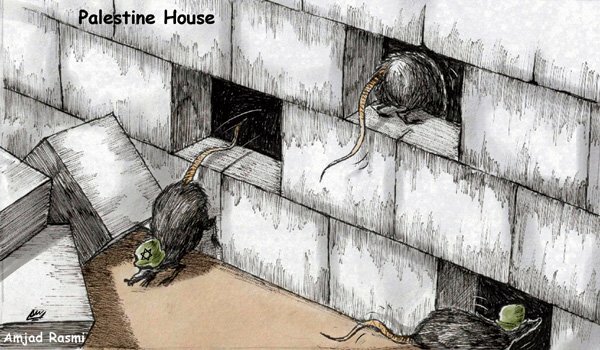 "Rats have become an Israeli weapon to displace and expel Arab residents of the occupied Old City of Jerusalem," Wafa reported under the title, "Settlers flood the Old City of Jerusalem with rats." The report continued: "Over the past two months, dozens of settlers come to the alleyways and streets of the Old City carrying iron cages full of rats. They release the rats, which find shelter in open sewage systems." Palestinian child named Anwar bitten by rats. Three weeks ago, Mahdi and his wife were preparing supper. They had put their 11-day-old baby girl, Anwar, in her crib. Suddenly, Mahdi noticed a huge black rat jump from the crib. He and his wife rushed over. Anwar's face was covered in blood. Mahdi raced out on to the street, to get a car to take Anwar to hospital. She stayed in hospital for two days. The doctors do not yet know if the rat bites will scar. Last edited by seeer; July 20th, 2008 at 09:47 AM. Are we talking about rodents? Smash jewish supremacy. Smash globalism. Smash ZOG. Use ad blockers at all times to starve off the (((beast))). Send a private message to H.B. Find All Posts by H.B. Find Threads Started by H.B. Find Posts in This Thread by H.B. They do the same thing in Amerikwa, except they use apes instead of rats. Page generated in 0.07892 seconds.